There are an estimated 2000 active volcanic craters across the world. 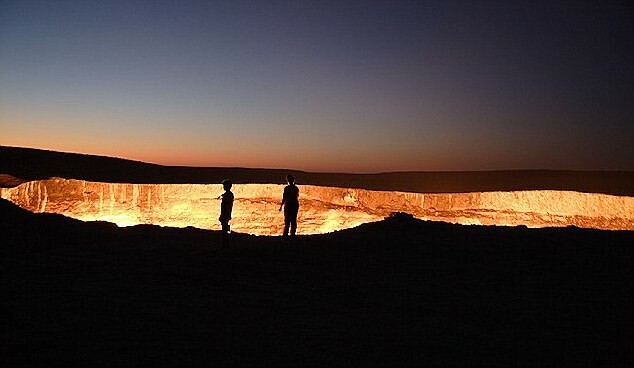 At first glance this 230 foot hole in Derwez, Turkmenistan looks like one. But this is not molten lava this is burning gas. In 1971 Soviet geologists accidentally drilled into an underground cavern in the Karakum Desert. When the cavern collapsed it released huge amounts of natural gas. To neutralize the poisonous gas the authorities decided to set it alight expecting it to burn off in days. 40 years on it’s still burning and shows no sign of stopping. 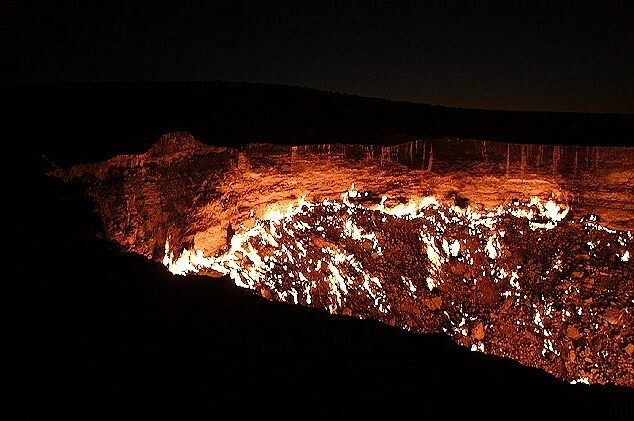 Locals now dub the hole “The Door to Hell”. 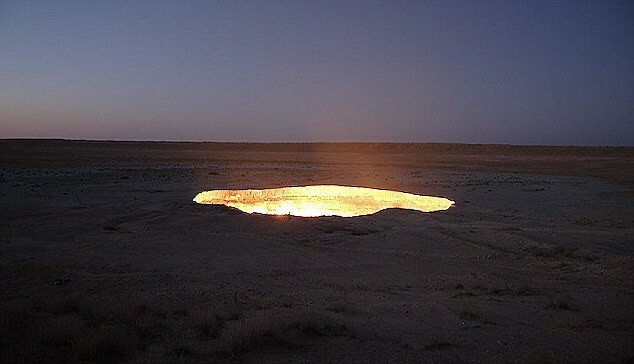 The flames from this bizarre hole located 200 miles north of Ashgabat, the capital of Turkmenistan generate a golden glow which can be seen for miles. Making it resemble a golden oasis in the desert.